Twenty-five years ago, African wild dogs (Lycaon pictus) disappeared from Serengeti National Park. A firestorm of debate followed when one researcher claimed that handling by scientists was the cause. New research refutes that claim and offers another explanation. In 1991, a strange thing happened in the wilds of Tanzania’s Serengeti National Park. 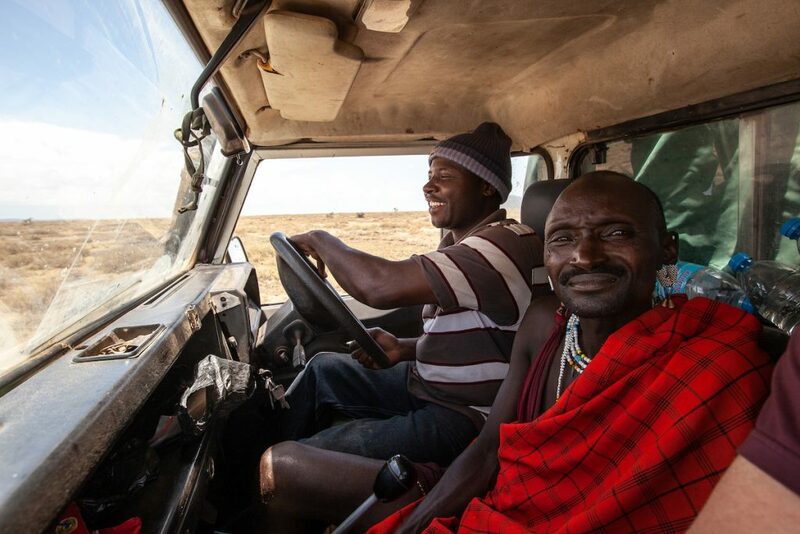 The Serengeti, a World Heritage Site, is home to a spectacular range of carnivores, from lions to cheetahs. And with more than 1.5 million zebras, wildebeests and gazelles making annual migrations across the park, there’s plenty of food for them to feast on. One of the park’s lesser-known predators is the African wild dog. These are not feral family pets, but an entirely separate species. Researchers started tracking wild dog numbers in 1964, and over the years, have watched as the numbers of wild dogs in the park dwindled. But in 1991, the dogs simply disappeared from the Serengeti plains, and a huge scientific debate ensued. Why did the wild dogs in the park suddenly go extinct? In 1992 a British researcher named Roger Burrows came up with a controversial hypothesis: it was researchers themselves who had led to the demise of the dogs. The “Burrows hypothesis”, as it came to be called, suggested that the wild dogs were stressed when researchers immobilised them and put radio collars on them. That stress caused the animals’ immune systems to be suppressed, the hypothesis suggested, which then allowed rabies lurking in their blood to eventually kill them. The hypothesis shook the conservation world, which has relied on tools like radio collars to track critically endangered, and often elusive, species. Since Burrows first floated his controversial hypothesis, the debate has continued to rage. Jackson studied wild dogs in the greater Serengeti-Mara Ecosystem for his PhD at the Norwegian University of Science and Technology (NTNU). 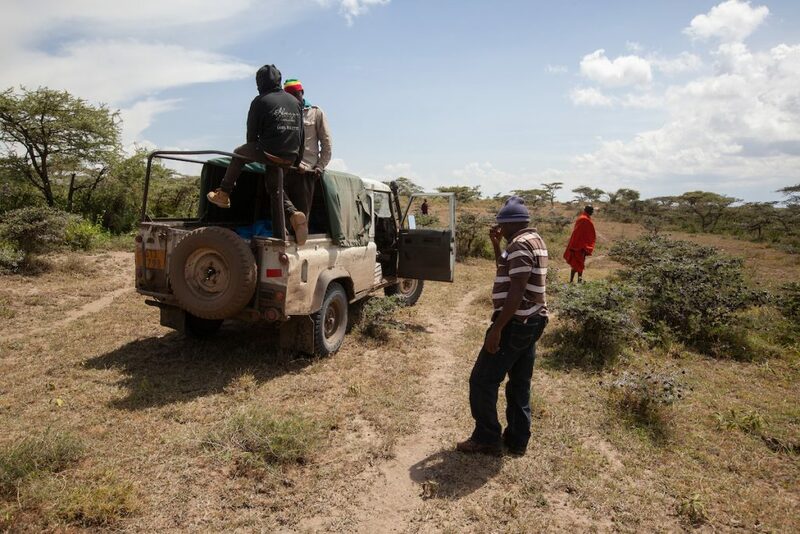 He worked with his colleagues at NINA, NTNU and the Tanzania Wildlife Research Institute (TAWIRI) to go through of all Burrows’ arguments and re-evaluate them using an alternative approach. These three research institutes are all a part of AfricanBioServices, an EU-funded project that is investigating how climate change, population growth and changing land use affect both biodiversity and local communities in the Greater Serengeti-Mara Ecosystem, with the goal of crafting new approaches to sustainable development. Their paper, published in the scientific journal Ecology and Evolution, shows that Serengeti wild dogs weren’t the victims of well-meaning researchers but likely left the park for another reason entirely — lions. 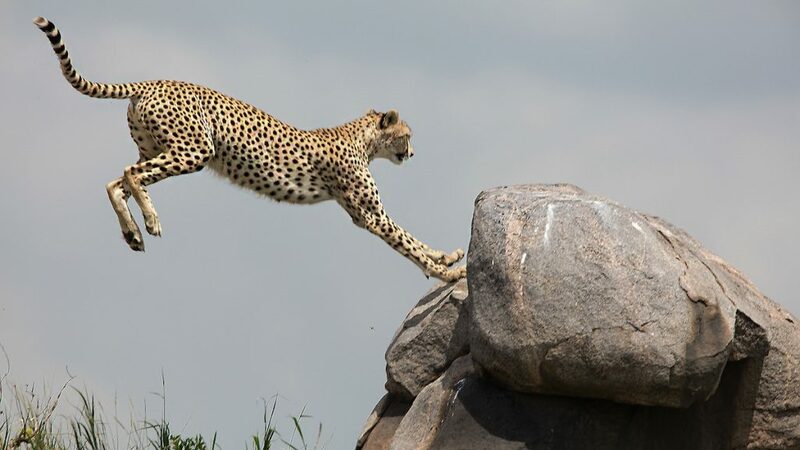 Although a number of other studies have tried to debunk the Burrows argument, proponents of the hypothesis have discredited these studies because they were conducted in other ecosystems, not in the Serengeti. The Burrows hypothesis says that a key reason for the disappearance of the wild dogs was that their living situation in the park brought them into contact with rabies and canine distemper. So how exactly do you disprove this, especially since wild dogs have disappeared from the park? Jackson says it’s easier than you might think. “Although much of the scientific literature referred to the disappearance of the wild dogs from Serengeti National Park as a population ‘extinction’, the population never went extinct within the broader region,” Jackson said. In fact, he said, the wild dog population actually survived in the eastern part of the greater Serengeti Mara Ecosystem. This population has been studied and monitored since 2005. Some of these wild dogs even had GPS collars, which showed the animals occasionally visit the park. That particular piece of information is very important, because it shows that the wild dogs had access to the park. And if they had access to the park, they could have chosen to settle there — in theory, at least. That gave the researchers the perfect opportunity to go through all of arguments made by the Burrows proponents, re-evaluate them, and subsequently show why they are wrong. Wild dogs living outside the national park, in the Ngorongoro Conservation Area and the Loliondo Game Controlled Area, are exposed to rabies and canine distemper at levels at least as high, if not higher, than the wild dogs inside the park when they disappeared, the new paper explains. That means that the wild dogs that Jackson and his group looked at had similar, if not worse, disease exposure than the wild dogs that Burrows and his colleagues say were exterminated by researcher handling. So if handling caused enough stress in wild dogs in these two areas to depress their immune systems and make them susceptible to rabies or canine distemper, there was enough of a source of disease in the region to infect them. Currently, there are about 120 animals in the region in 10 packs, most of them in Loliondo Game Controlled Area. These animals have been studied by TAWIRI researchers since 2005, including by using radio collars. Between 2006 and 2016, 121 wild dogs from this region were immobilised and handled by researchers. Forty-five were radio-collared. The Burrows group argued that wild dogs that had been handled by researchers “were significantly less likely to survive for 12 months after the date of first handling.” So Jackson and his colleagues looked at how well the 121 wild dogs from outside the national park survived in the year after they had been handled. When they looked at the numbers, 87.6 per cent of the 121 dogs, or 106 animals, had survived at least 12 months after they had been handled. They also looked a numbers from when 67 wild dogs from 6 packs were translocated to Serengeti National Park, between 2012 and 2016. Typically, when animals are relocated, they are monitored in enclosures for a period before they are released. In this case, the dogs were held for a mean of 313 days, and 95.5 per cent survived 12 months or more after handling. In contrast, when researchers looked at another group of 54 wild dogs from the same region that had been immobilised but not captured and translocated, they actually found lower survival rates of 77.8 per cent. “Therefore, longer-term stressful interventions did not evoke disease outbreaks, and the high survival rate does not support Burrows’ hypothesis,” the researchers wrote. More than two decades after they disappeared, there are still no wild dogs in the plains of Serengeti National Park, even though there is plenty of game and plenty of room. Why not? Roel May (NINA), one of the co-authors of the study, thinks the answer to this question also explains why the population in the park disappeared in the first place — lions and hyenas. 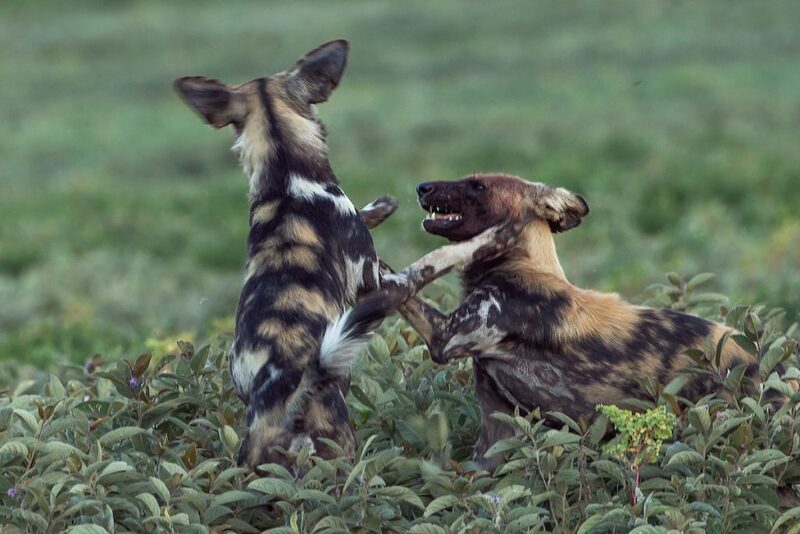 “The wild dogs’ movement behaviour and home range utilisation suggest that they face a trade-off between forage availability and landscape features that provide refuge, which means these are key determinants in wild dog occurrences in the Serengeti,” May said. Wild dogs are predators, it’s true, but they can also be bullied and killed by larger predators, such as lions and hyenas. In particular, lions and hyenas are good at scaring wild dogs away from their food so they themselves can eat it, a phenomenon called kleptoparasitism. The Serengeti is so rich and full of game for a reason. It’s high-quality habitat and it’s mostly flat, which lions and hyenas, as top predators, can preferentially choose to inhabit. Lower level predators such as wild dogs consequently move to lower quality habitat, like the lands on the eastern edge of the park, which is hilly. The hilly habitat also provides protection for the wild dogs when they are denning and raising young, the researchers say. The researchers say the evidence is very clear: increasing competition from lions and hyenas, combined with an outbreak of disease, are most likely what dealt the final blow to the Serengeti wild dog population in 1991, not researcher-induced deaths. 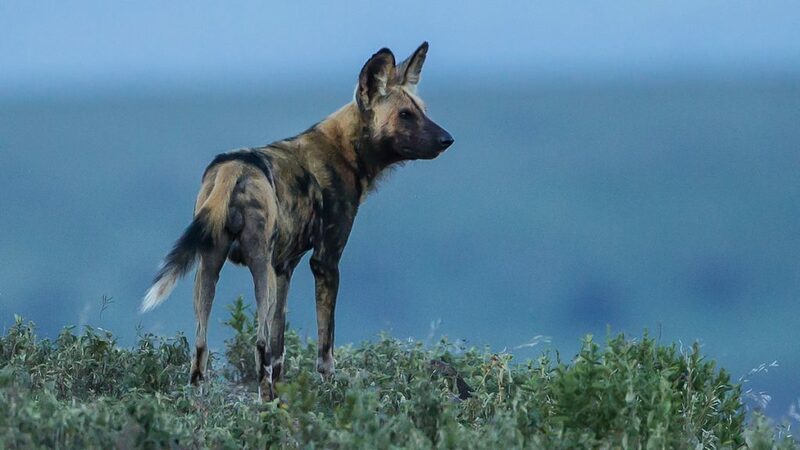 “Instead of a local extinction, the disappearance of wild dogs from the Serengeti plains was more likely a contraction of their range in response to increasing levels of competition with these large carnivores,” May said. Not only that, using radio collars and other tools to understand animals like the wild dog is an important tool in helping to protect the species. Even if some few animal deaths do result from handling, the overall benefit for the species is positive, said Eivin Røskaft, an NTNU biologist who is also coordinator of the AfricanBioServices project. “Of course there is a balance between disturbance and important knowledge on how to conserve large carnivores, particularly in a world where all large carnivore populations are rapidly declining,” Røskaft said. “While animal welfare and ethical considerations should remain paramount, much of the information pertinent to management and conservation of threatened species would be impossible to attain in the absence of radio-telemetry and other techniques that require researcher intervention,” Jackson said. About the Author: Nancy Bazilchuk is a science journalist based in Trondheim, Norway who writes for Gemini Research News, the online English-language popular science news magazine published jointly by the Norwegian University of Science and Technology and SINTEF, Norway’s largest independent research institution.